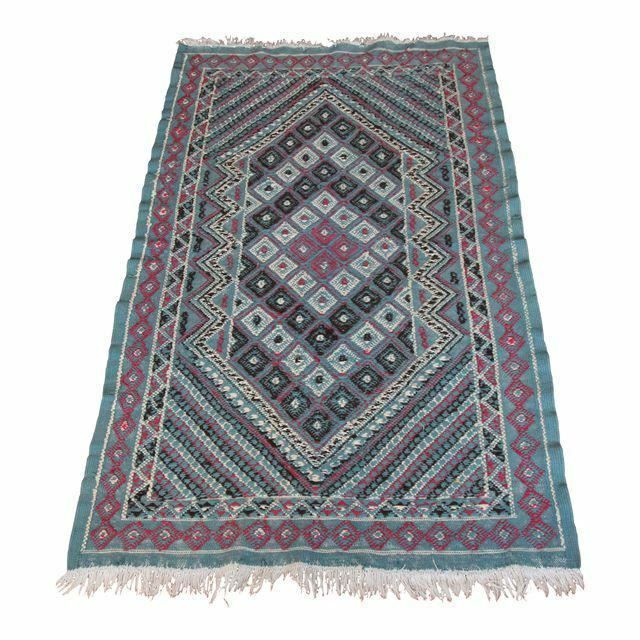 Wool Sumak Cicim Kilim Rug - 3′4'' × 6′ With just one bright Kilim, your room can take on a whole new feel. Wool Sumak Cicim Kilim Rug is wool, flat-weave rug which updates any room's decor with an eye-catching tribal pattern. Much more than ordinary floor coverings, this kilim rug presented itself as a dowry of a bride.